In this undated photo, Cecil the lion rests in Hwange National Park in Zimbabwe. When lions are hunted for trophies, whether they are known and beloved like Cecil the lion or nameless, they’re likely to wind up in the United States, the world’s largest importer of lion trophies. Cecil’s killing is being investigated as a possible poaching case because a hunting party that included Minnesota dentist Walter J. Palmer has been accused of luring the lion out of Hwange National Park in Zimbabwe before killing him. As a big-game target, Cecil was unusual in spending his life in the wild. Trophy hunters are increasingly likely to be stalking captive-bred lions rather than wild ones. 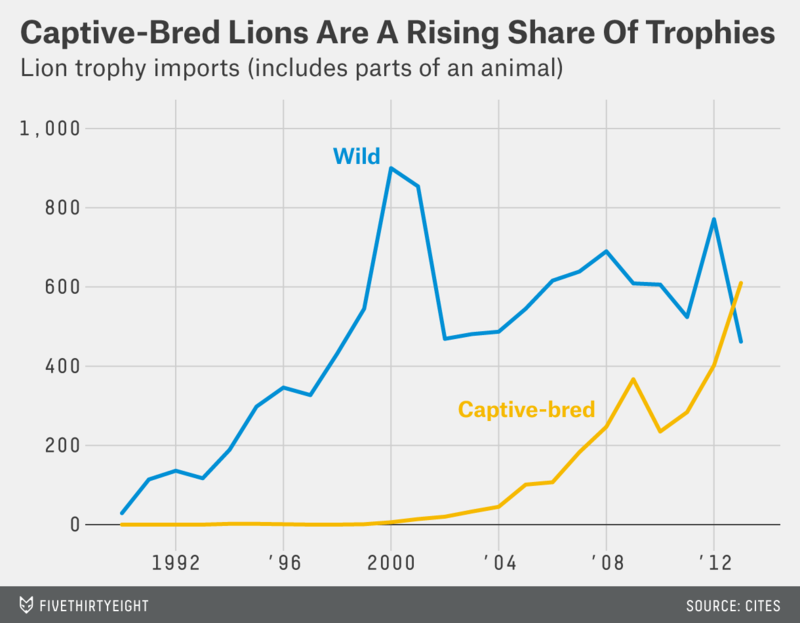 Globally, captive-bred lion trophy imports surpassed trophies from wild lions for the first time in 2013. In 2007, South Africa tightened rules for hunting captive-bred lions. Under the new laws, lions must spend at least two years living in the wild, possibly redeveloping a wariness of humans, before they can be hunted. They also cannot be hunted in too-small enclosures (to prevent them from being fish in a barrel), and hunters are prohibited from using arrows because that weapon is unlikely to produce a clean kill. In Cecil’s case, there was a 40-hour gap between when the lion was initially wounded by an arrow and when the hunting party was able to administer the killing blow. 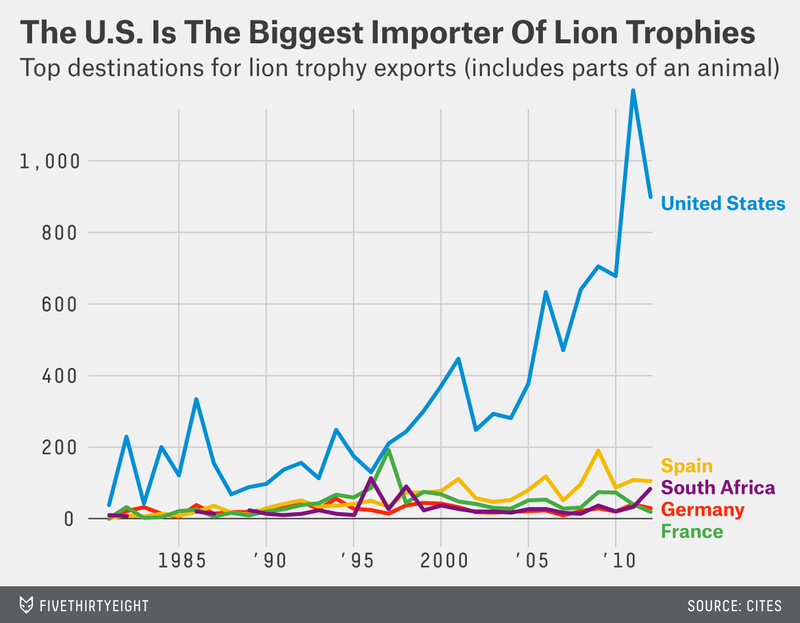 CITES uses data from importing and exporting countries to put together a portrait of the lion trade but excludes any domestically traded trophies.